Metering is easy, as AT-Protect is filled into the cooling loop undiluted and without further mixing. 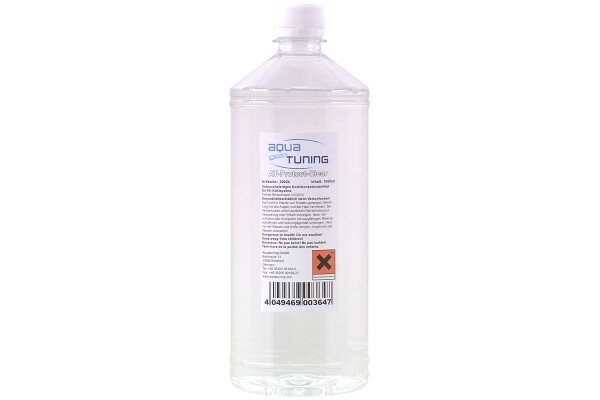 To ensure proper functionality of the coolant no additional dilution (e.g. with water) is permissible. AT-Protect is non-odorous, colourfast and non-flocking. AT-Protect UV clear contains no Gylsantine or glycol and hence does not reduce the heat absorption of the water. It is hence perfect for use in high-performance water cooling systems.